UK’s New Violin & Voice Duo - High - octane and powerful performance. 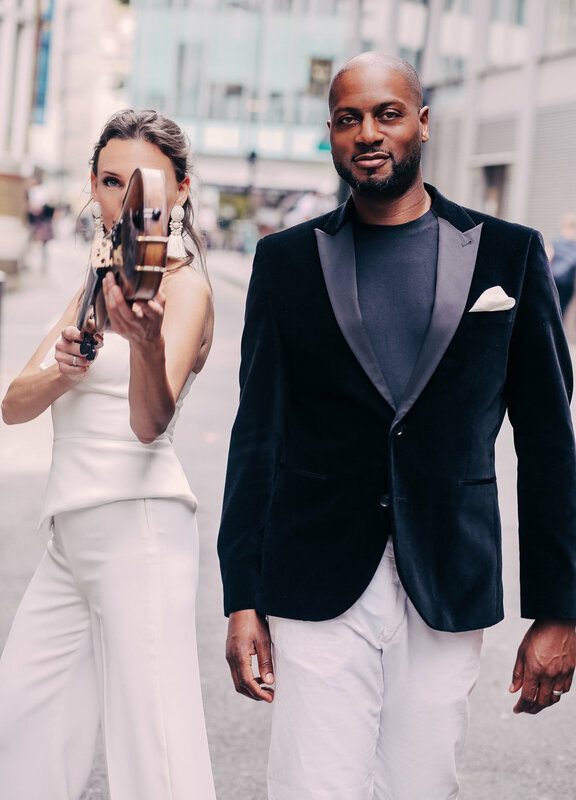 Made up of an internationally acclaimed baritone singer RODNEY EARL CLARKE and accomplished female violinist ENRIKA, this Voice and Violin Duo offers an exceptionally talented and unique live music act. Inspired by their mutual love of the classical crossover repertoire, pop and swing, they combine their years of experience to create a high octane and powerful performance. Expect to hear passionate baritone and violin arrangements of Cry Me A River, Feeling Good, Skyfall, Mi Mancherai, The Prayer and Nessum Dorma. With a wide repertoire, our classical crossover duo offers a huge range of songs and genres to choose from to ensure they strike just the right atmosphere at your event. Dressed in a choice of beautiful black tie outfits, this classical crossover duo’s look fits perfectly with luxury venues and high-end events. These classical musicians for events are perfect for cruise ship entertainment, corporate events, drinks receptions, luxury resorts, weddings and much, much more. A sure-fire winner at wedding receptions, corporate events and gala dinners, our classical crossover duo are able to adapt to the requirements of your specific event and even learn songs to add an extra special touch to a first dance or celebration. Having appeared on Britain’s Got Talent, and with renowned groups such as the Electric Ladies, our classical musicians for events are sure to impress.